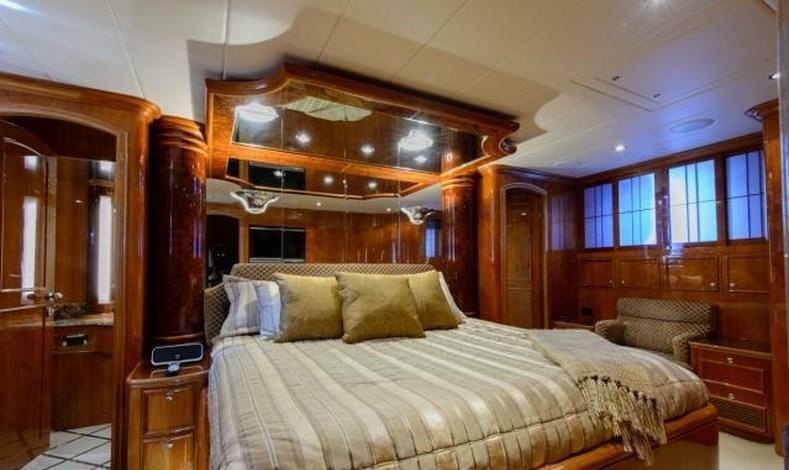 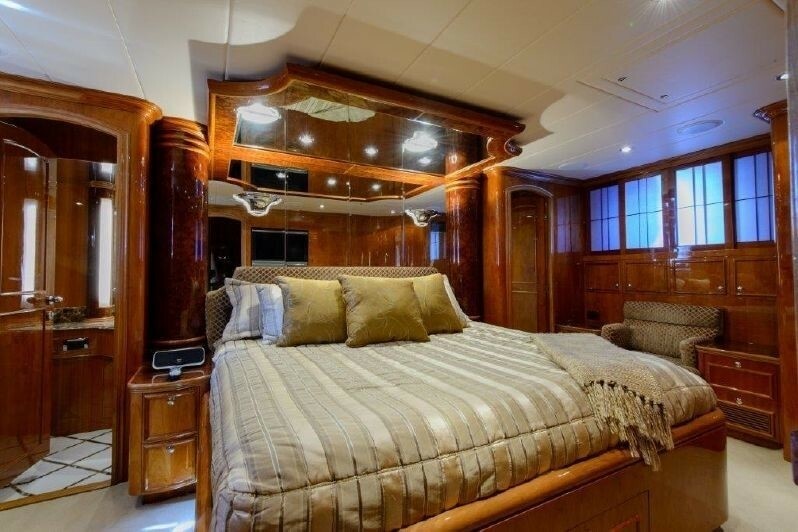 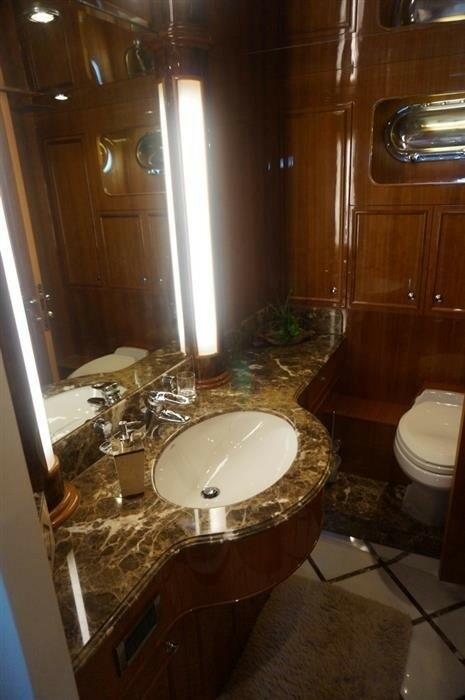 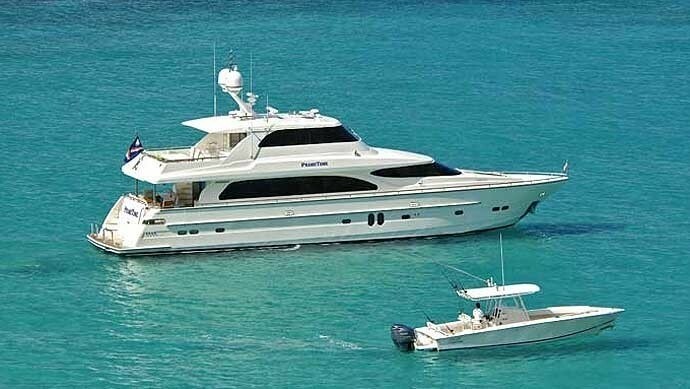 Motor Yacht PRIMETIME was built by Horizon in 2006, the luxury charter yacht measures 25 meters (82ft) and can accommodate 6 guests in 3 spacious cabins. 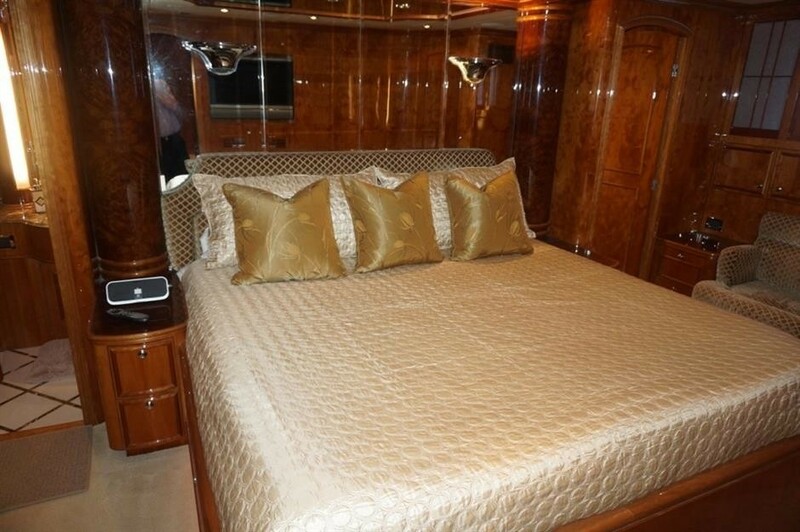 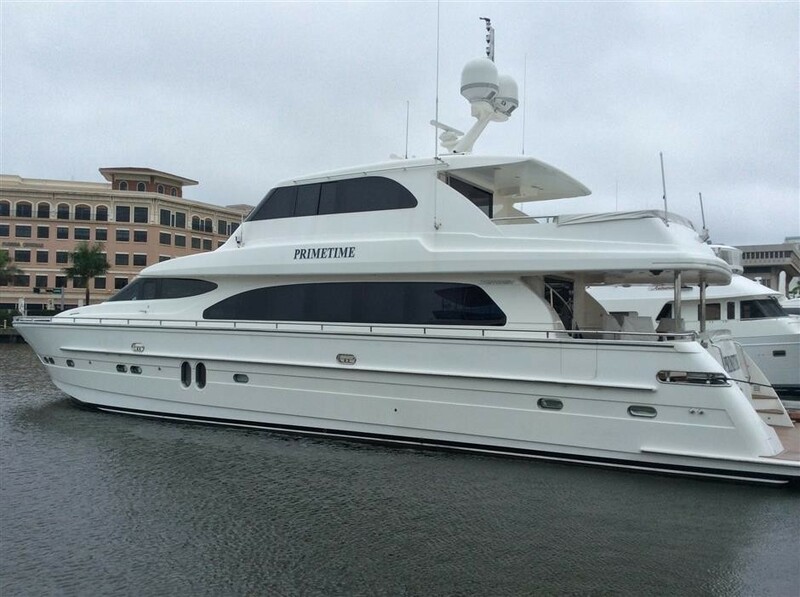 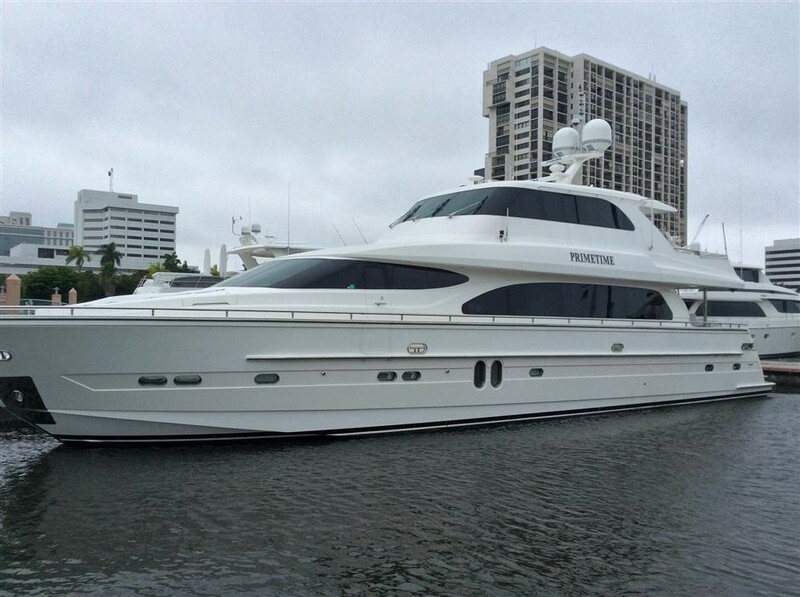 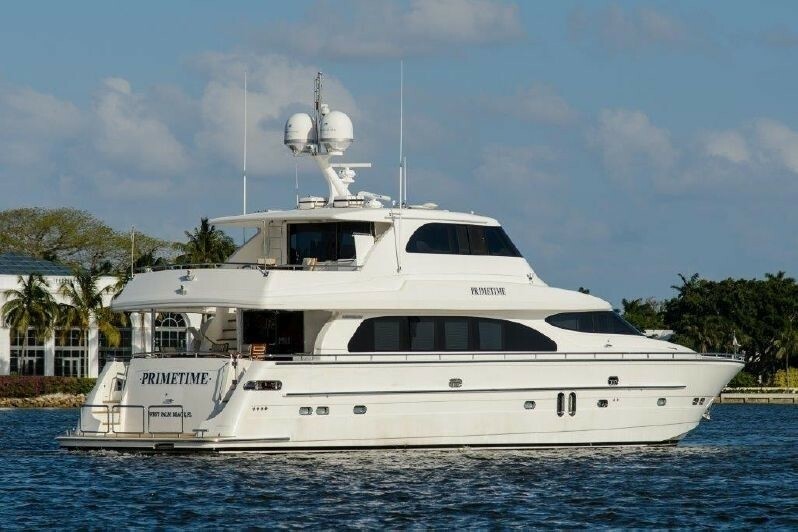 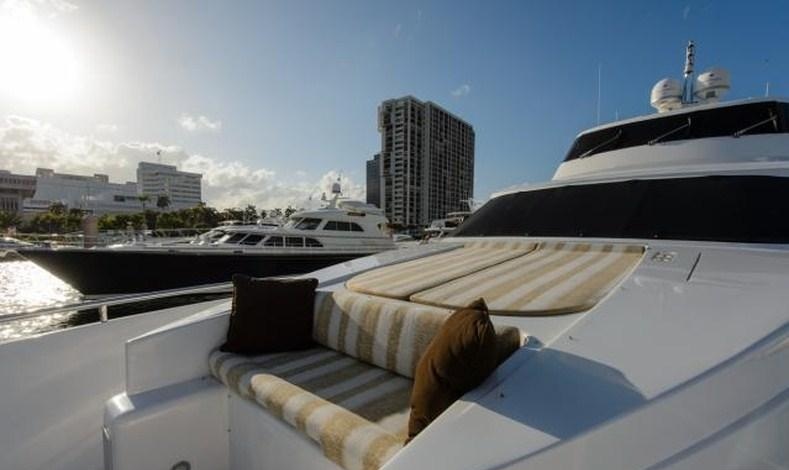 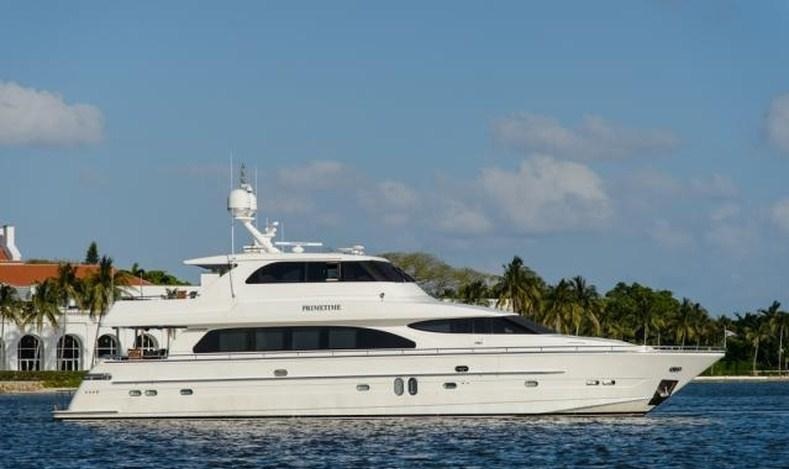 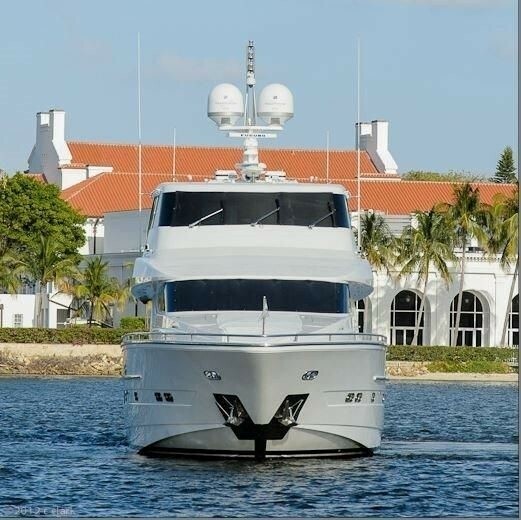 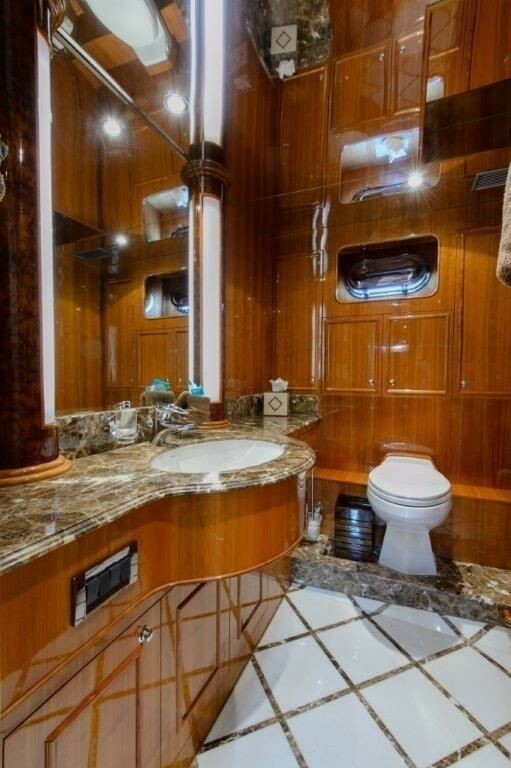 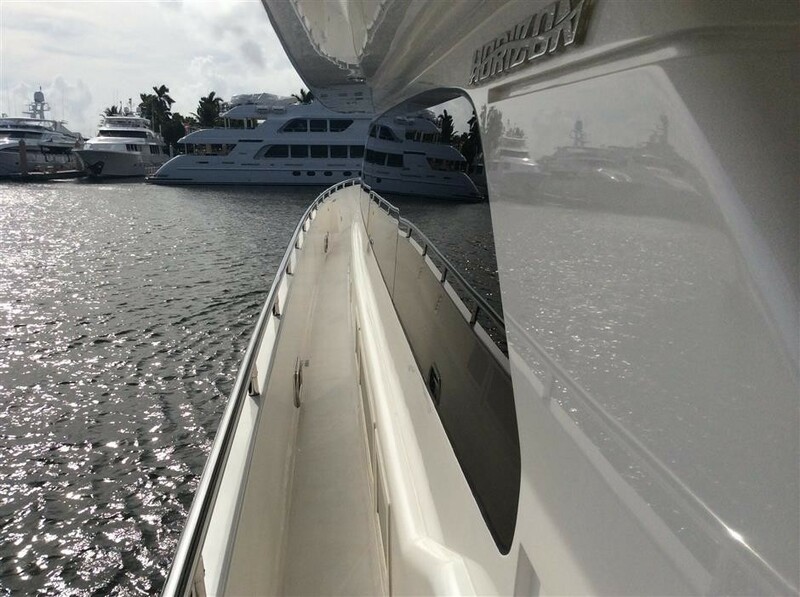 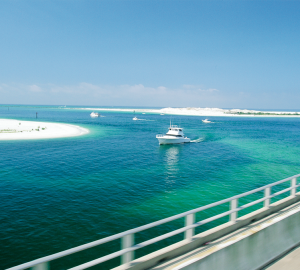 M/Y PRIMETIME is available for charter in the Bahamas and Florida. 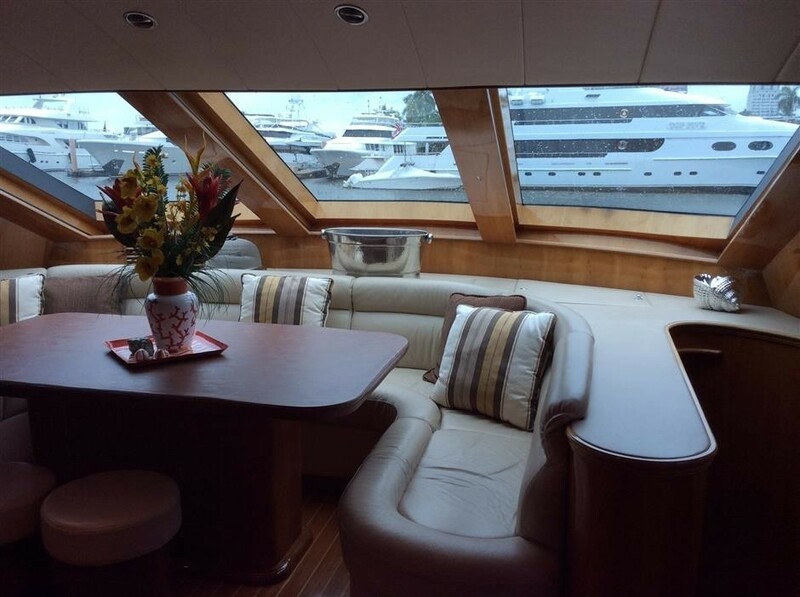 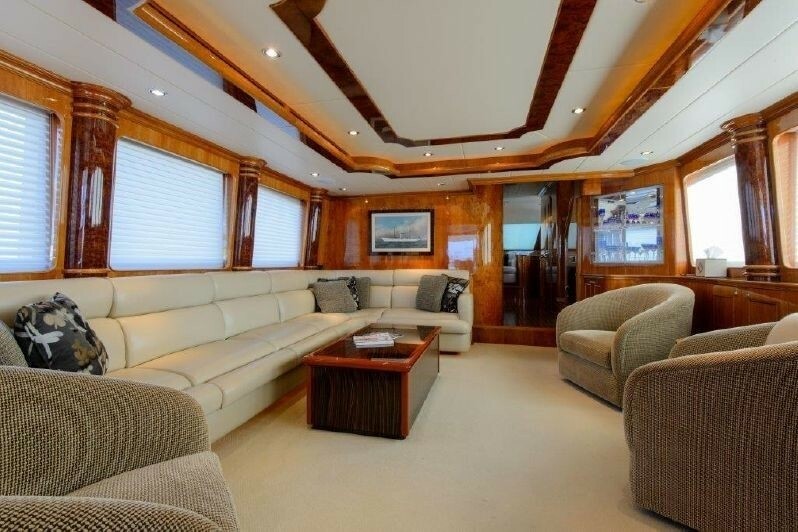 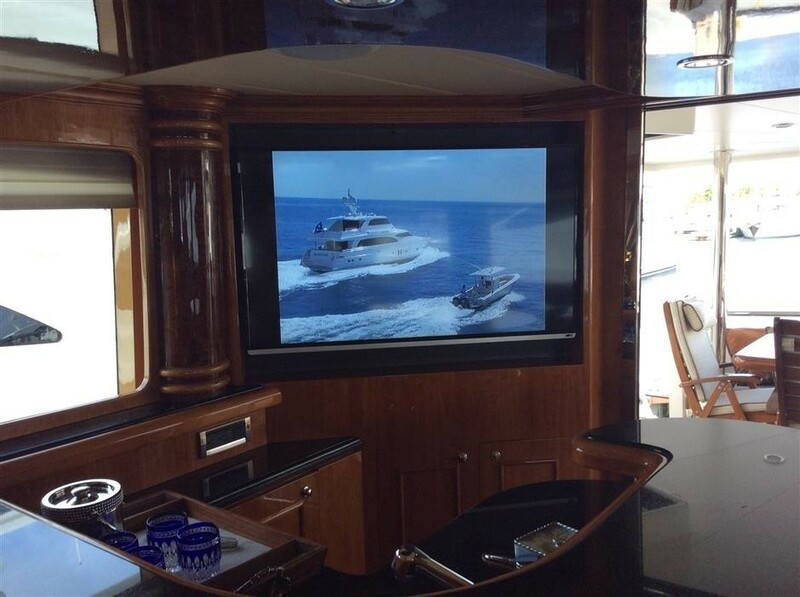 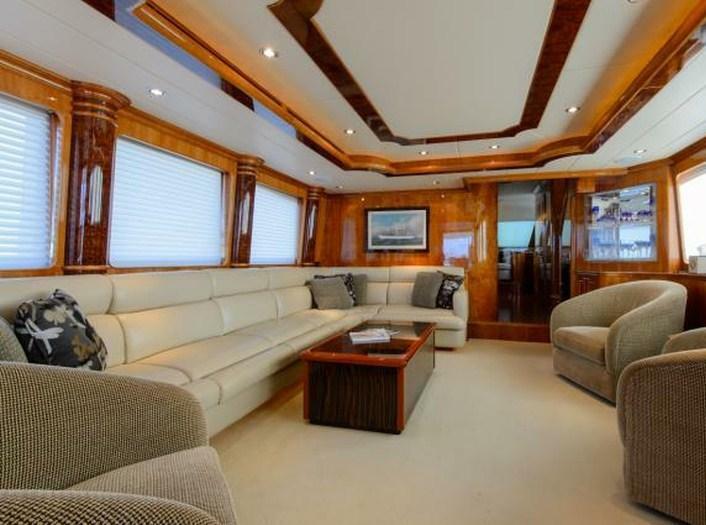 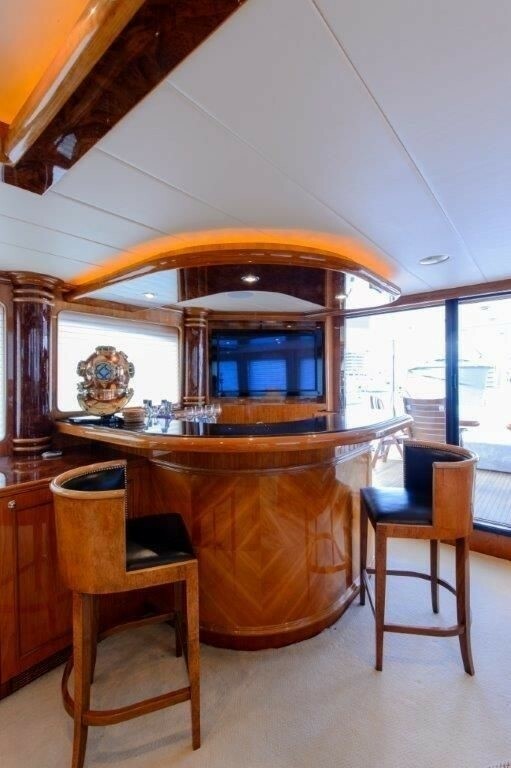 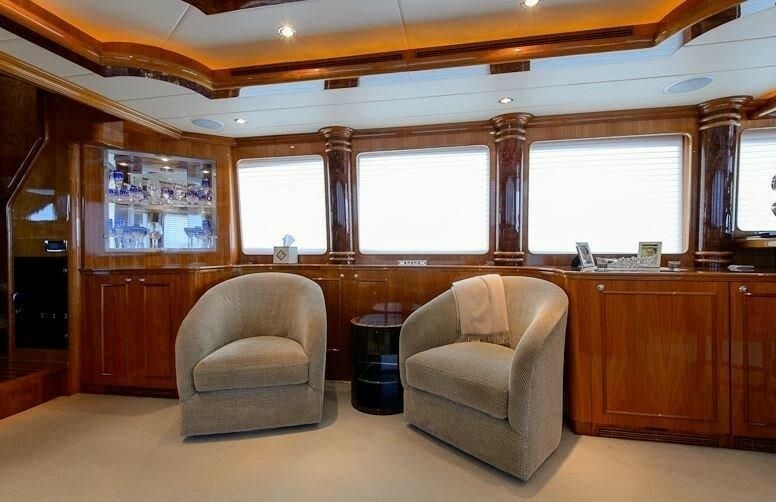 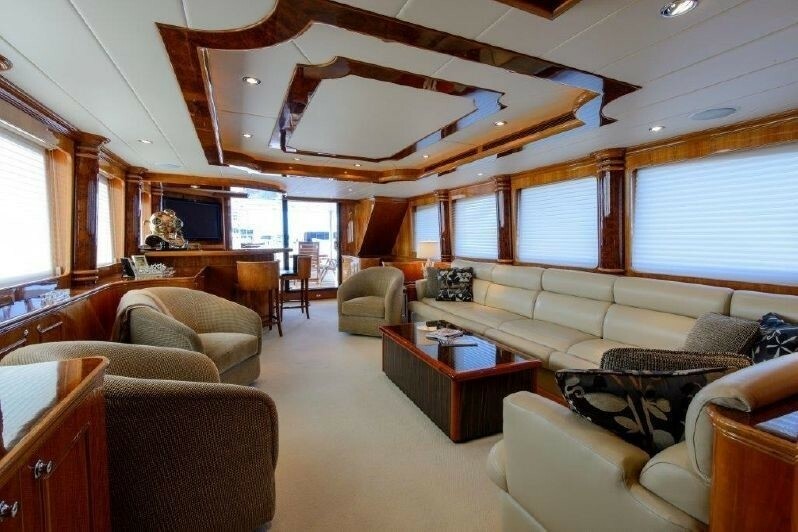 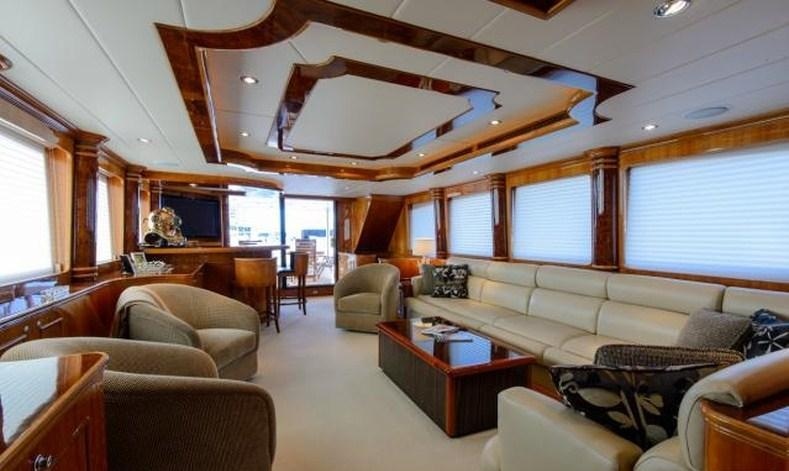 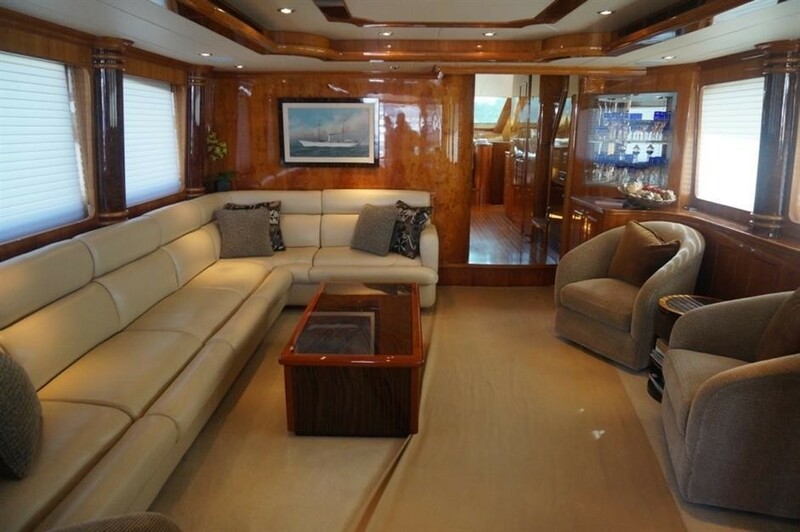 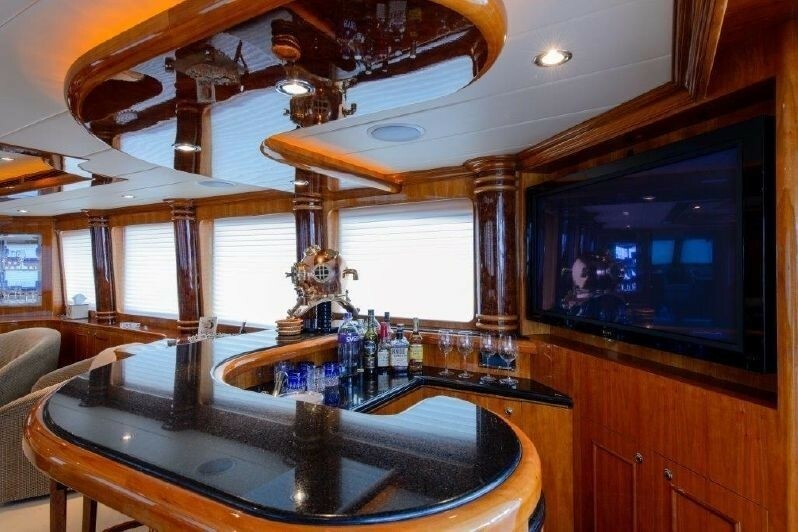 Yacht PRIMETIME has an elegant interior, the salon features neutral toned soft furnishings of a large sofa with 2 occasional chairs, light carpeting creates a larger feel, a wet bar and large flat screen TV aft adds a social dimension while large panoramic windows allow ample natural light. 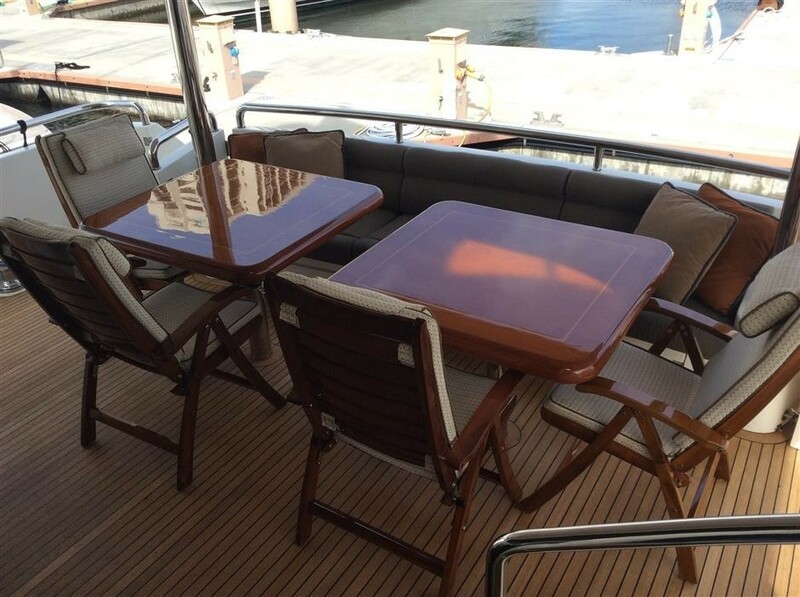 Separate and forward is the formal dining space. 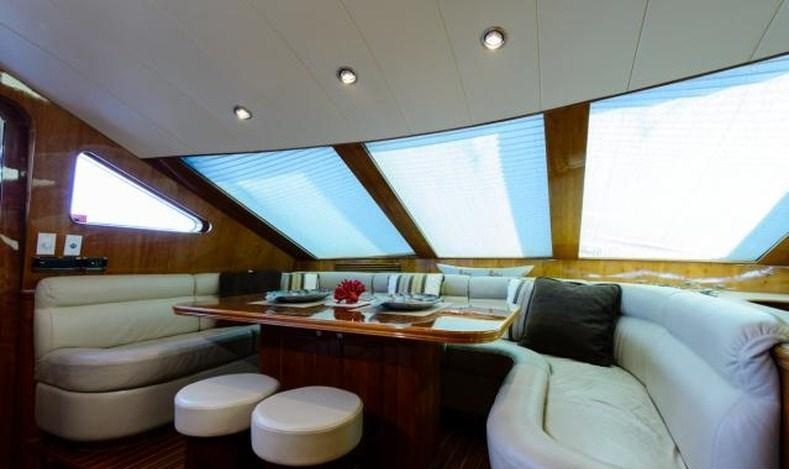 Above the main deck the fly bridge shares its space with a roomy sky lounge which features an L shaped sofa with cocktail table. 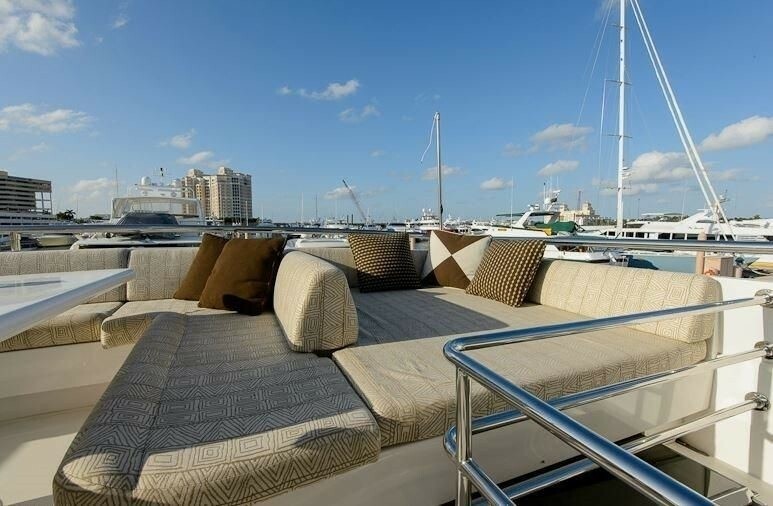 Motor Yacht PRIMETIME offers guests plenty of outdoor living, leading out from the salon the comfortable aft deck is shaded and offers ample seating and an alfresco dining option, a staircase from the aft deck gives access to the sundeck above with another alfresco dining option, large sun pad, BBQ and mini bar. 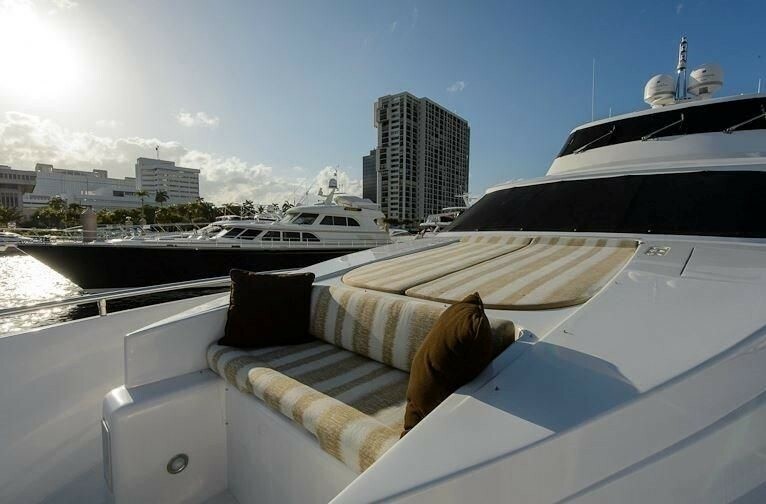 The sundeck is adjacent to the sky lounge and fly bridge. 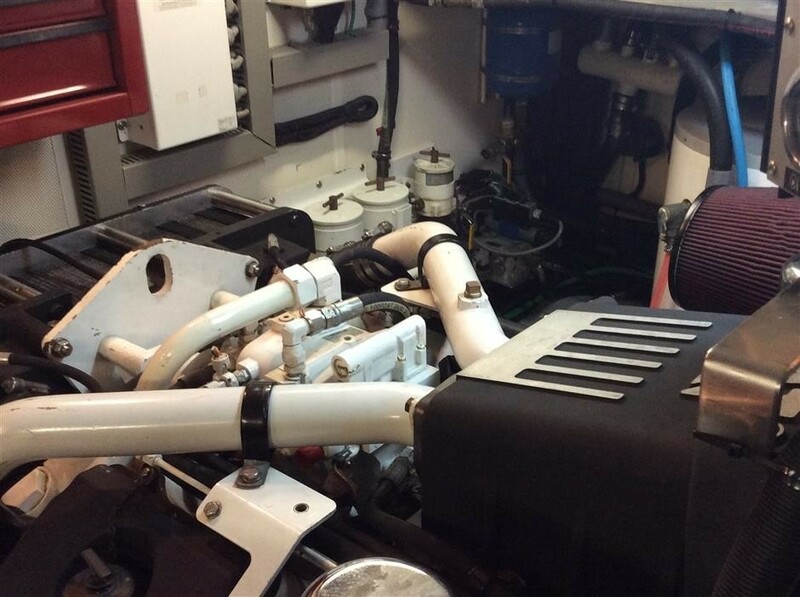 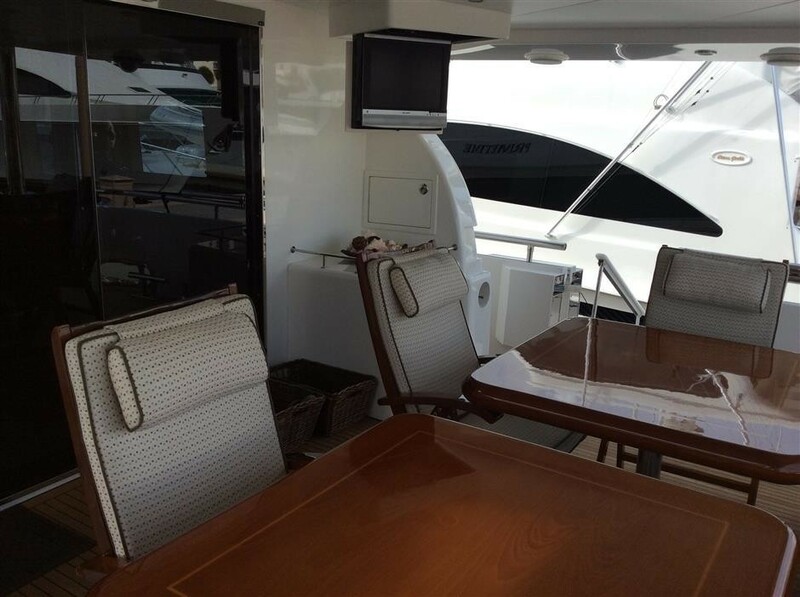 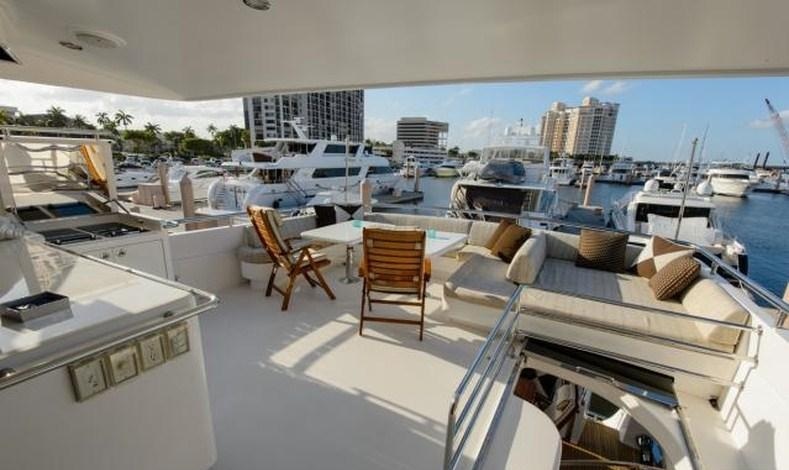 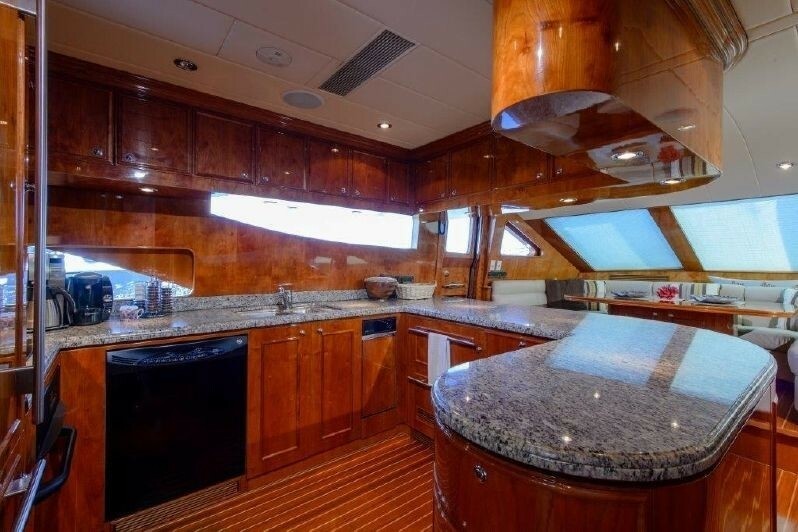 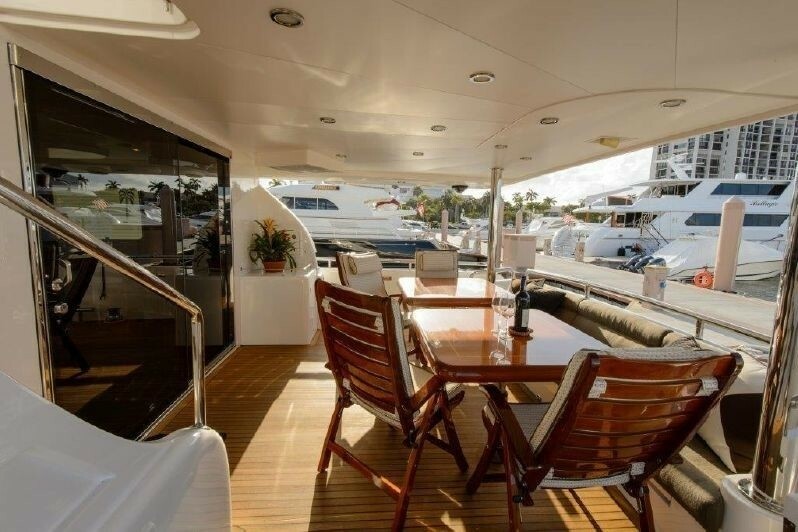 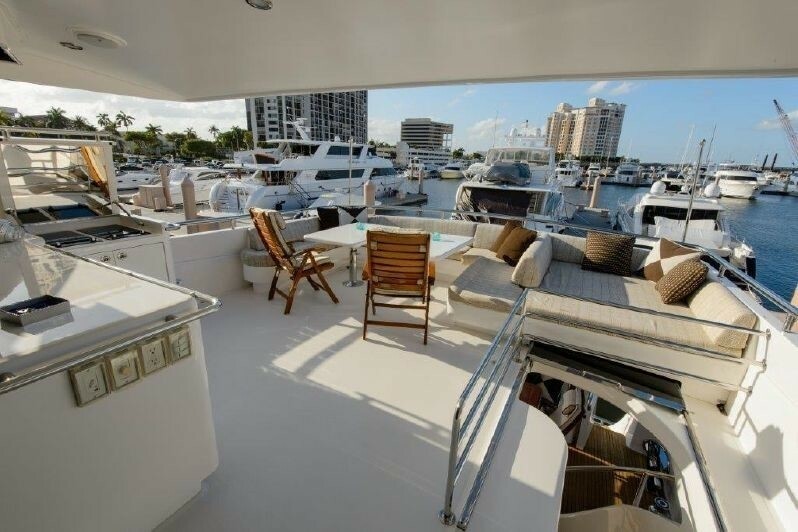 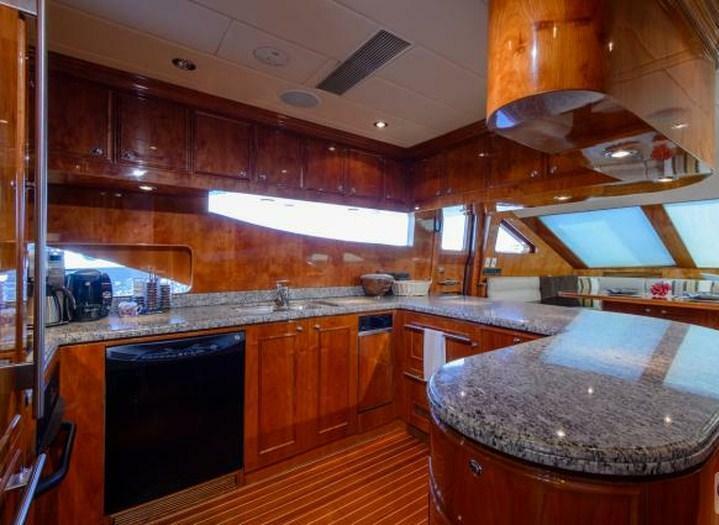 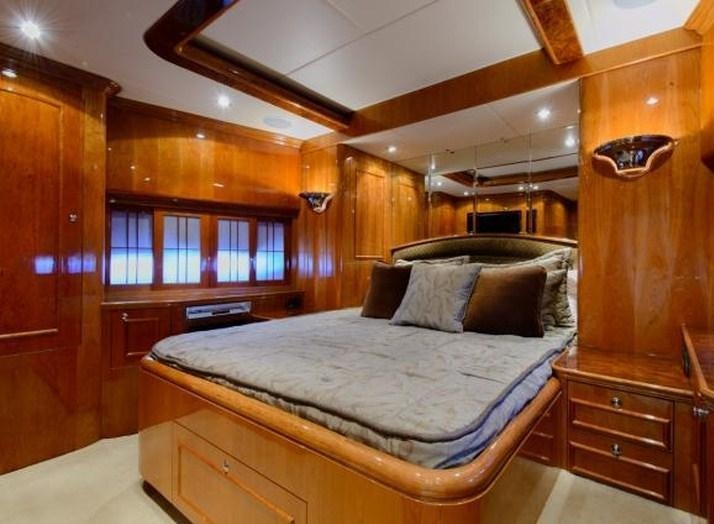 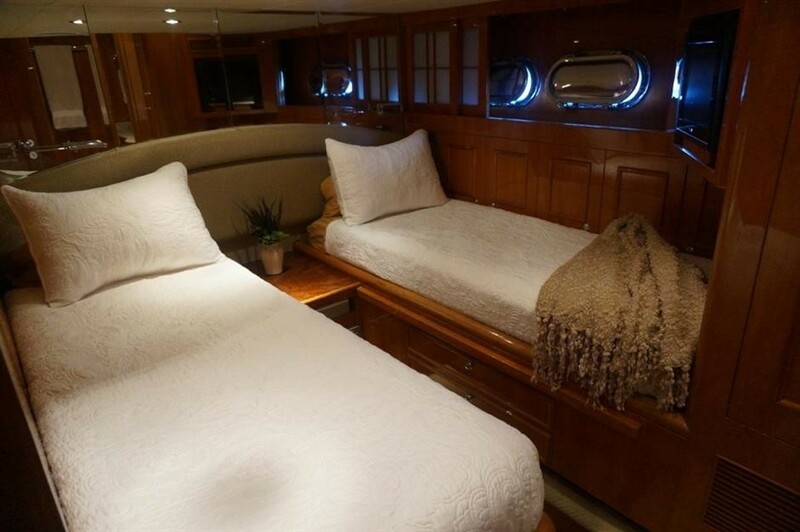 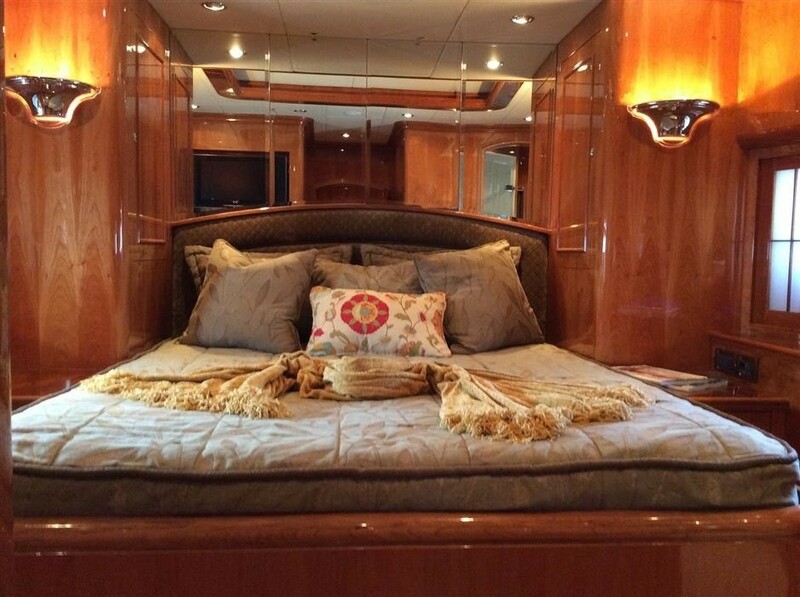 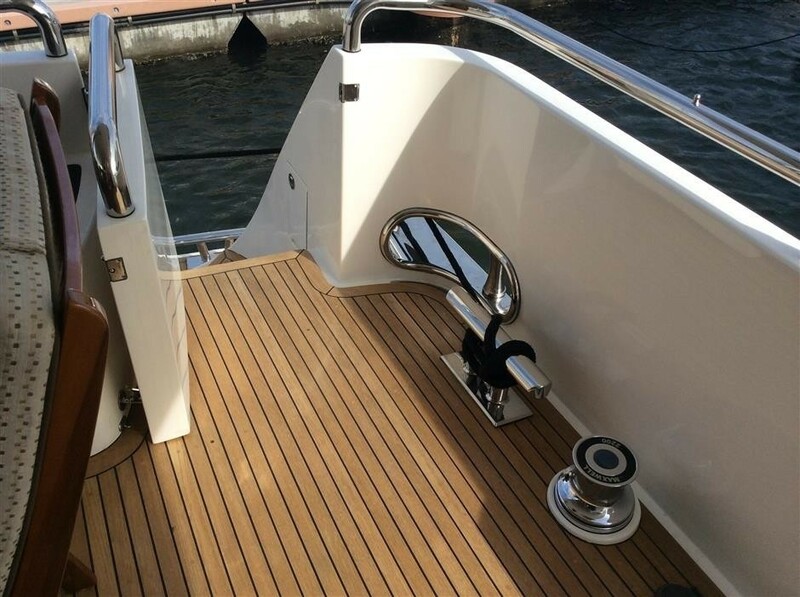 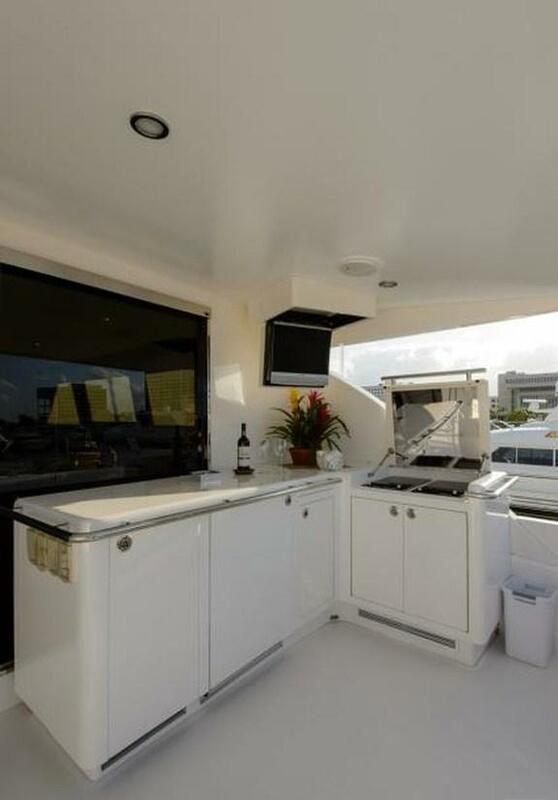 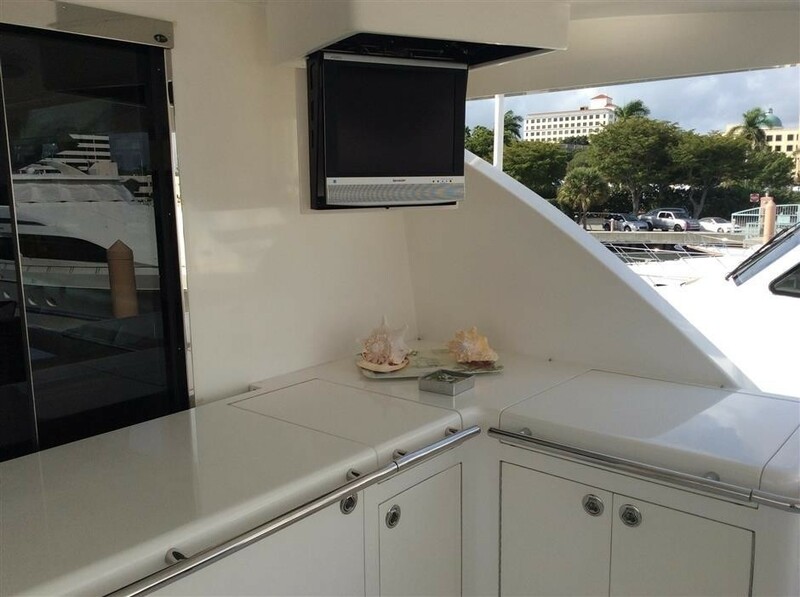 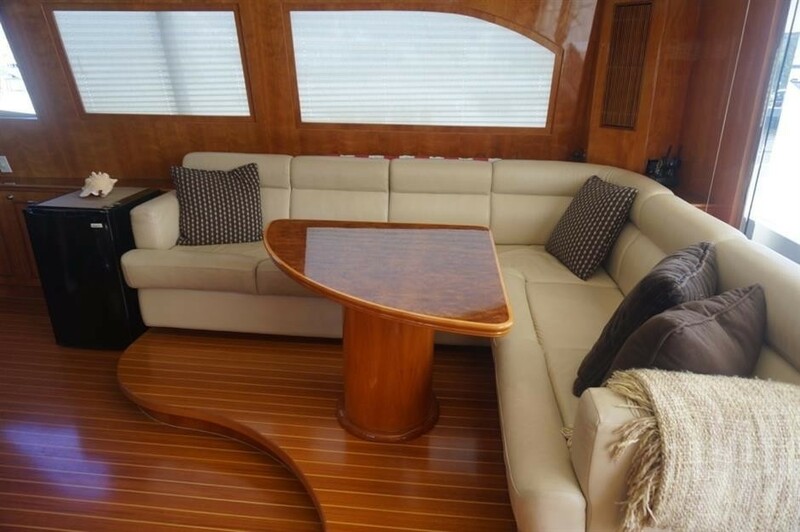 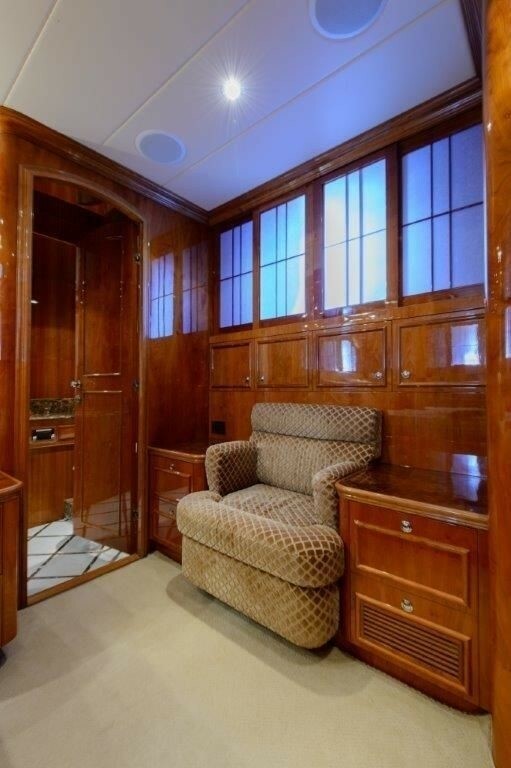 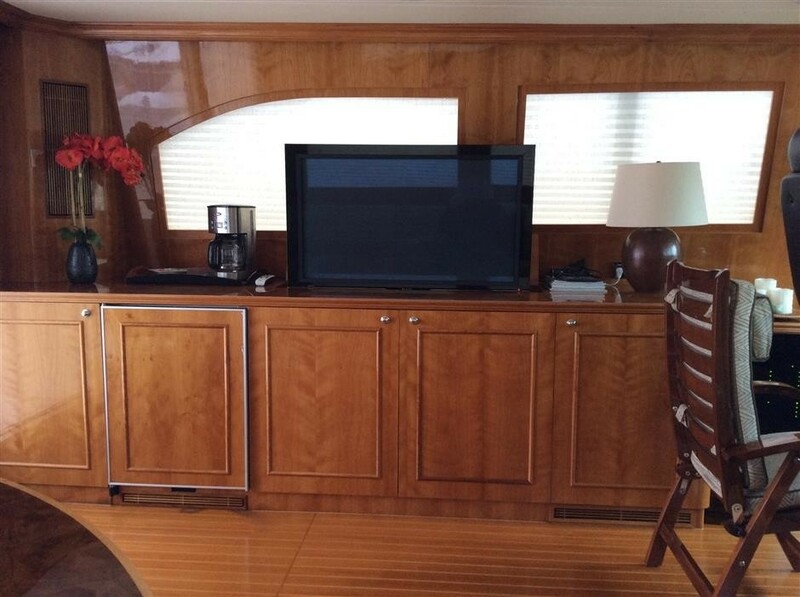 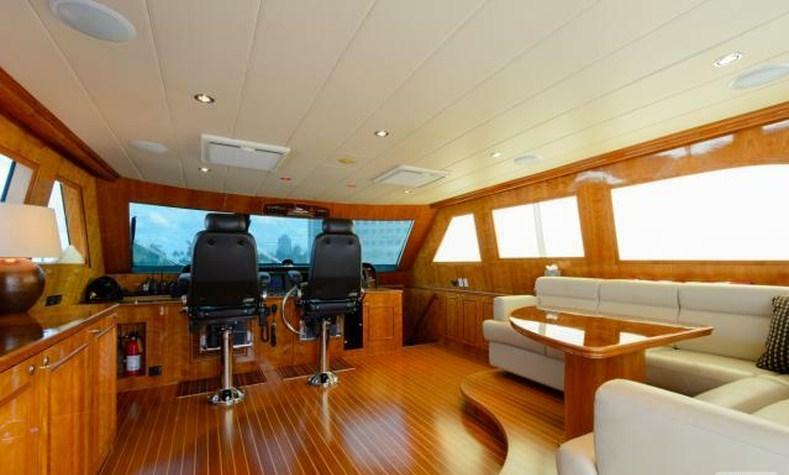 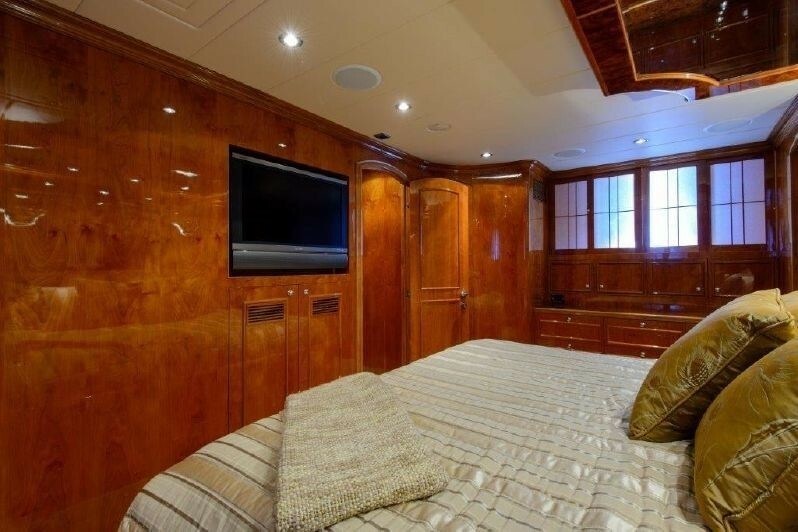 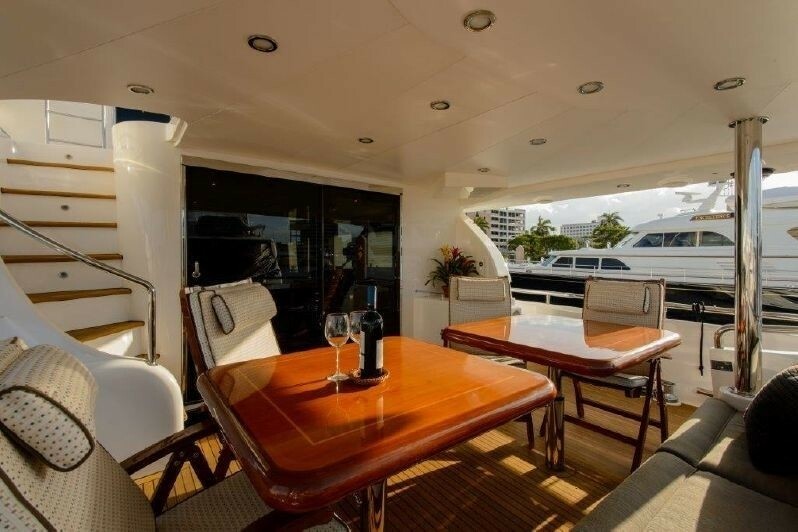 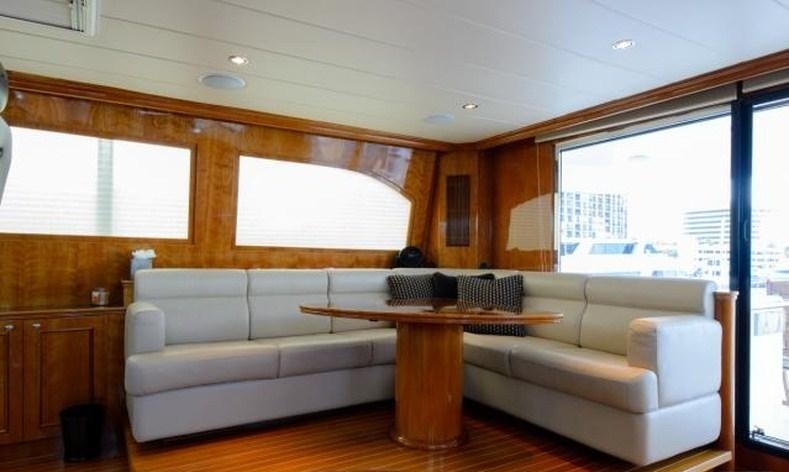 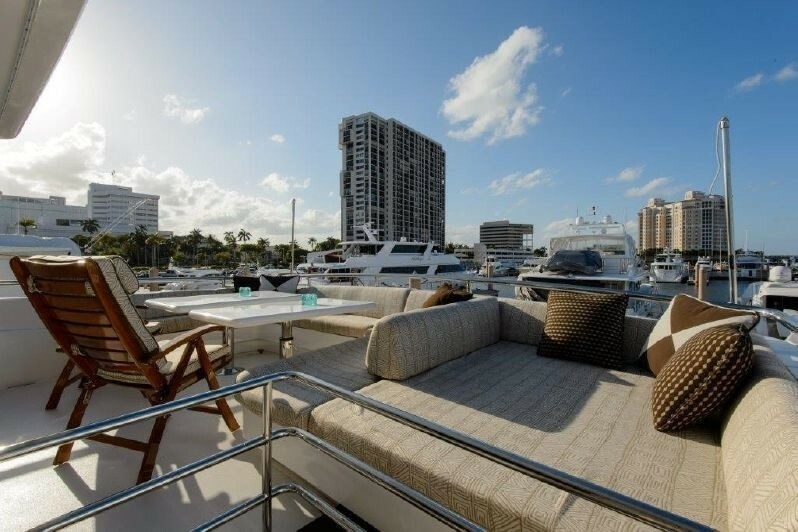 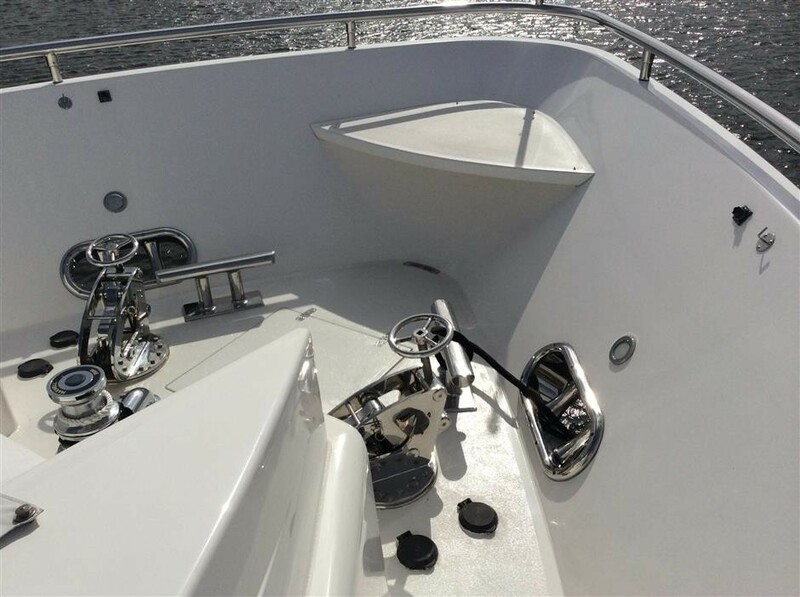 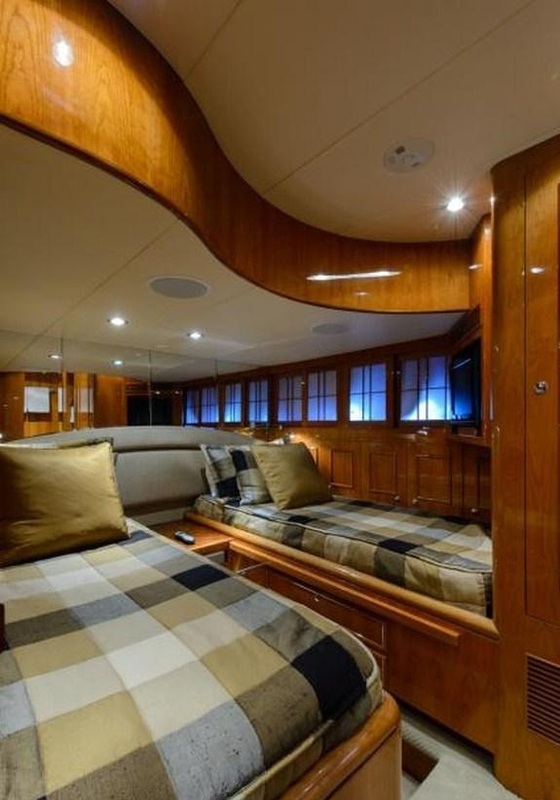 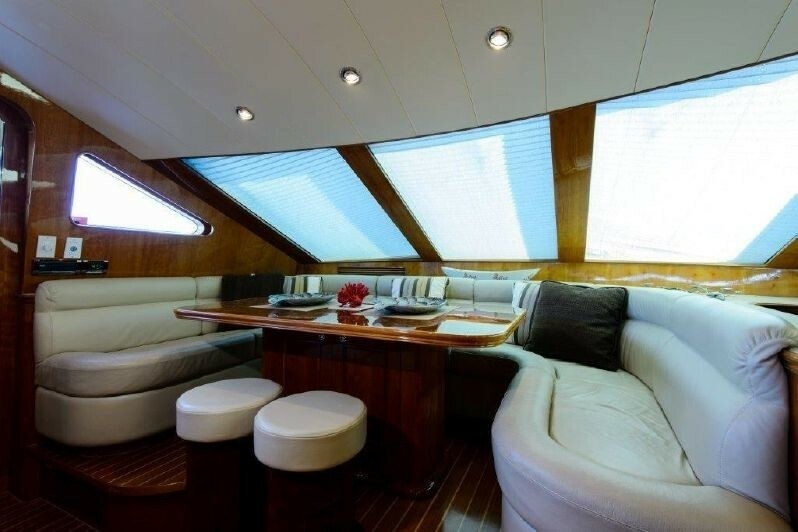 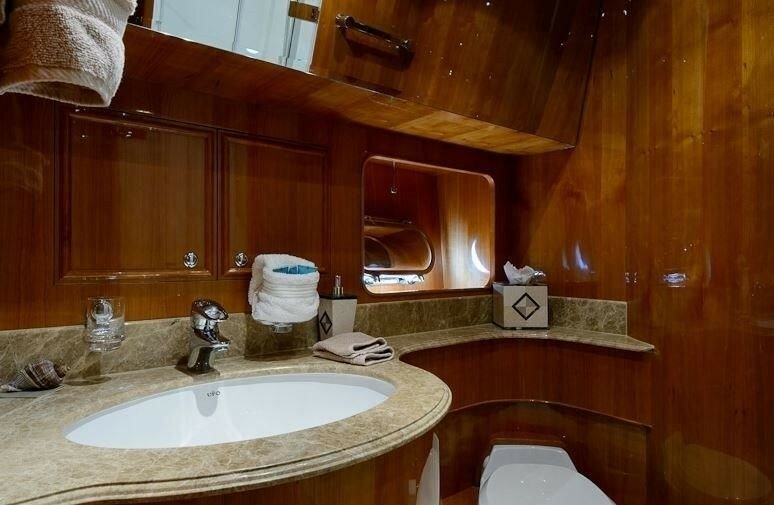 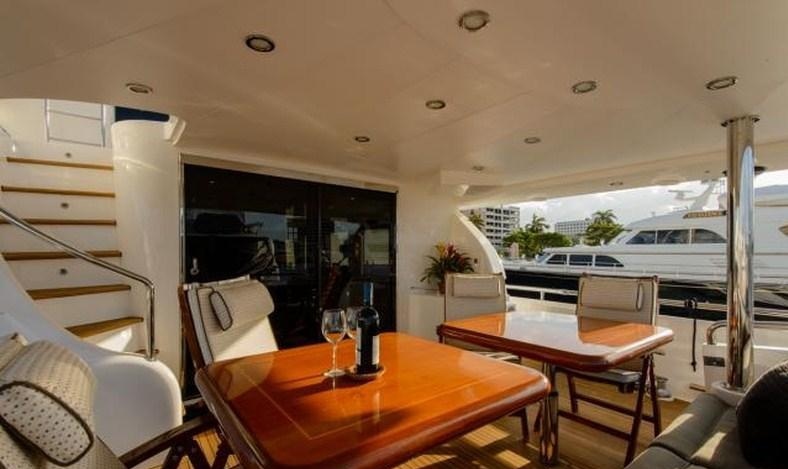 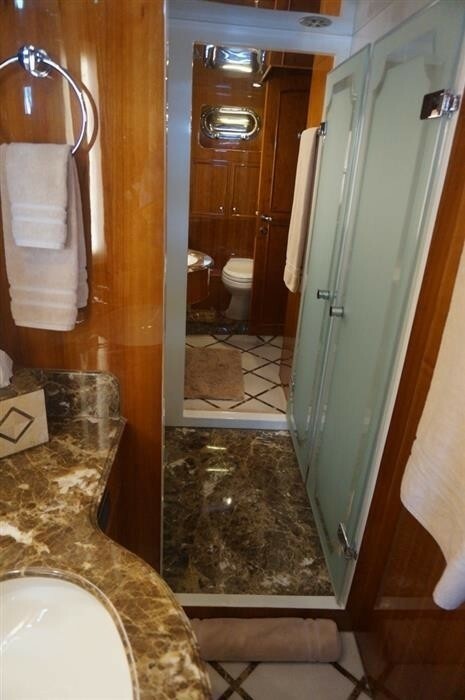 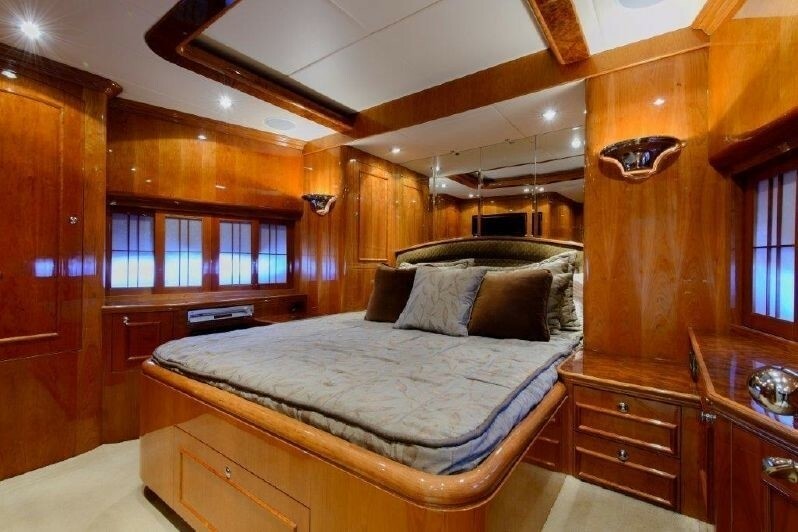 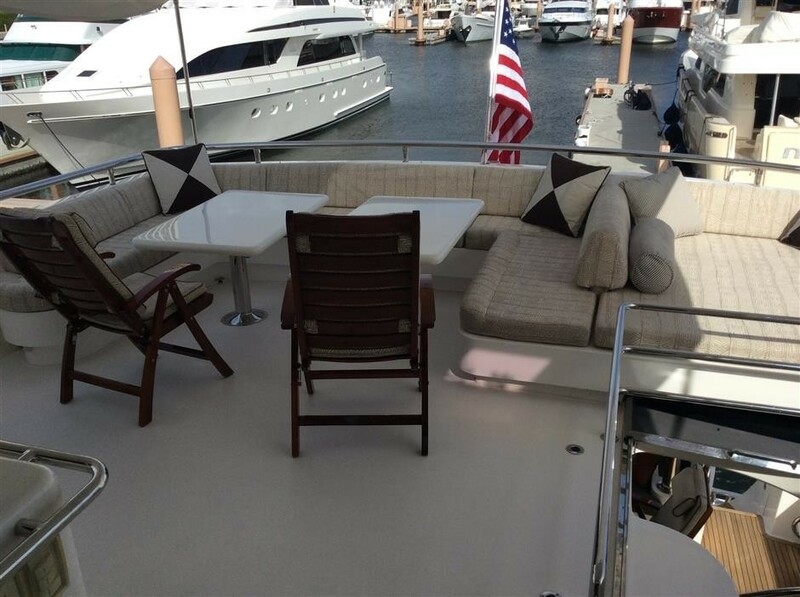 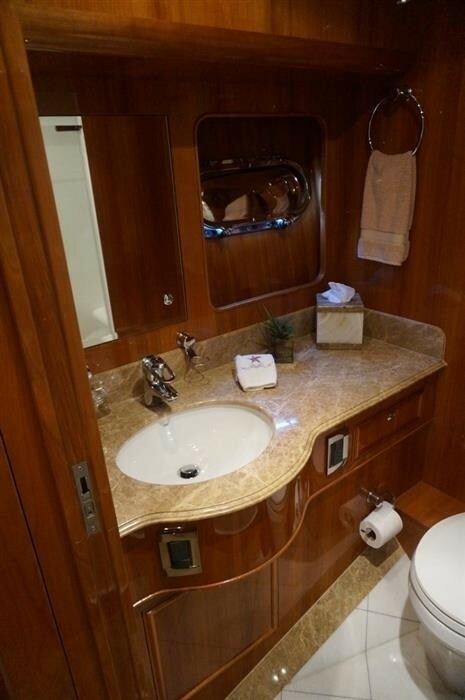 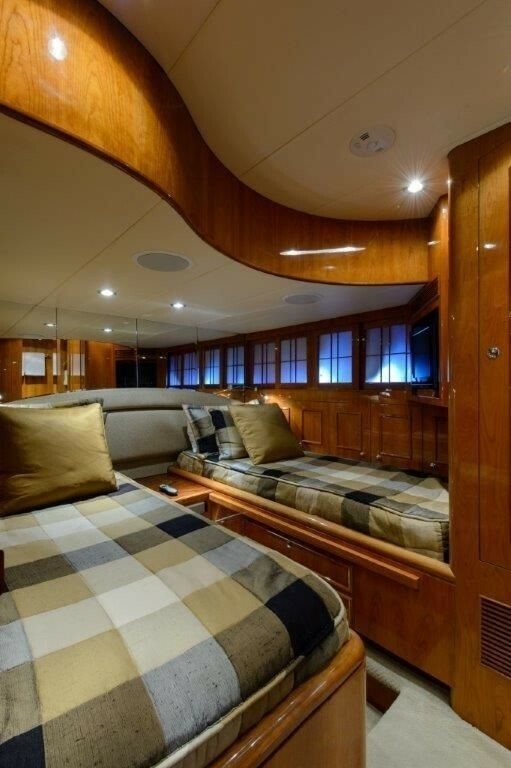 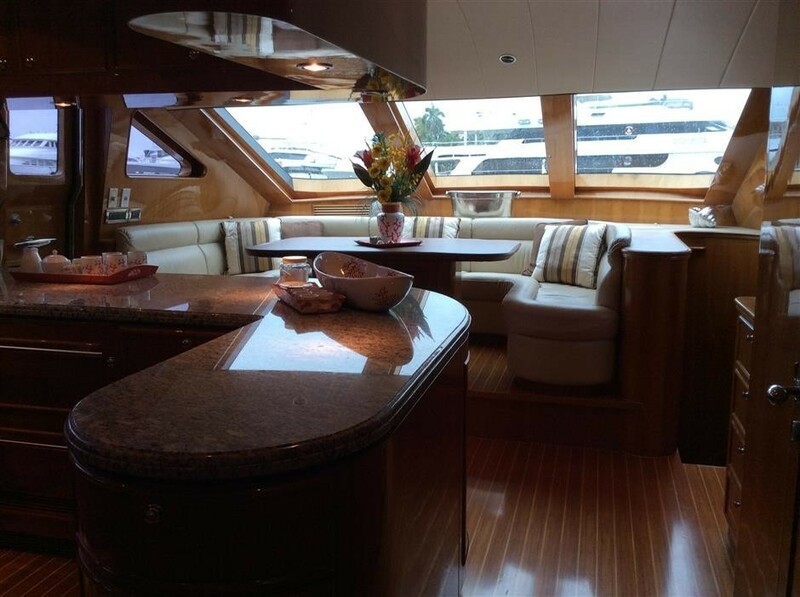 On the foredeck upholstered seating and a further large sunpad are the ideal place to escape. 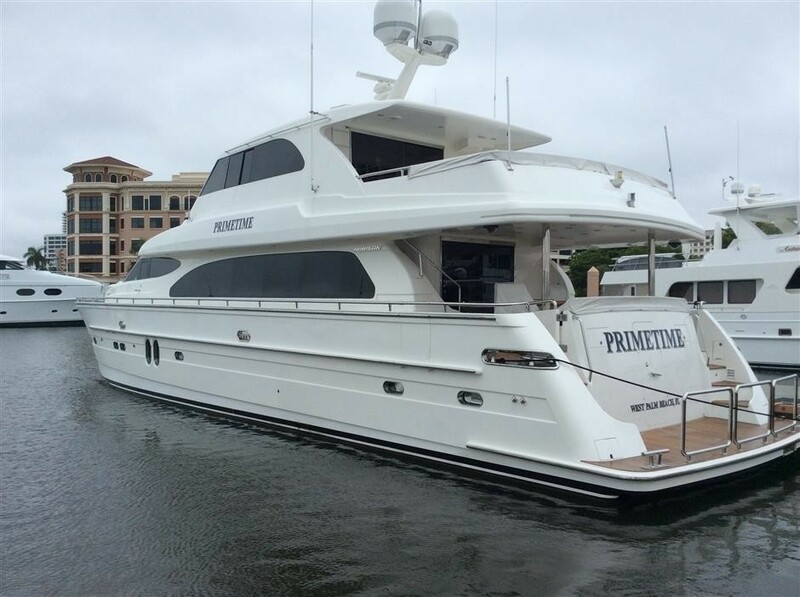 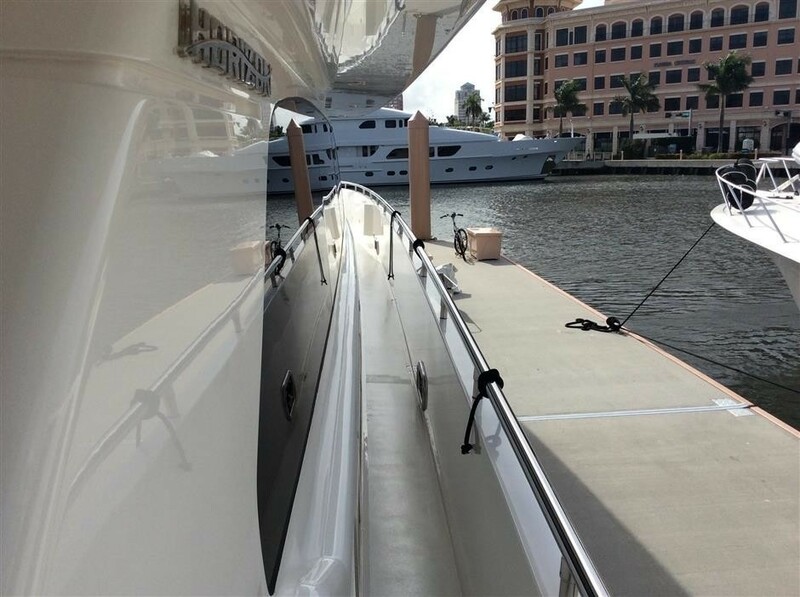 For the water enthusiasts M/Y PRIMETIME has an extended swim platform aft. 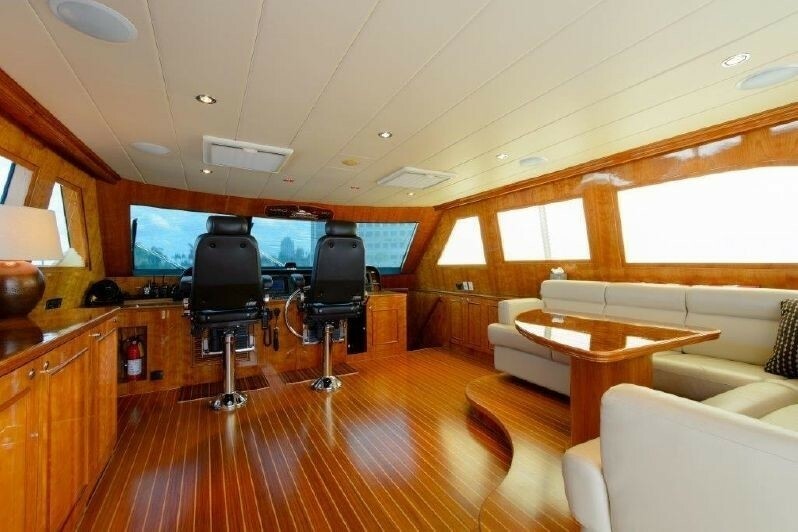 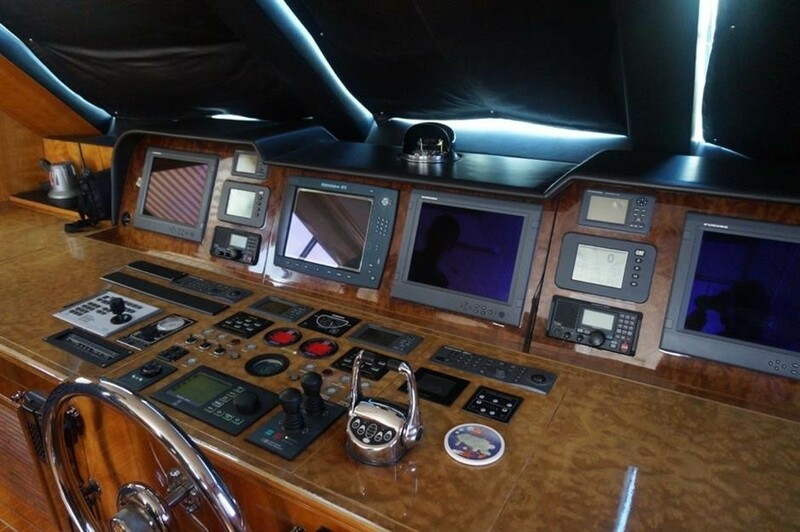 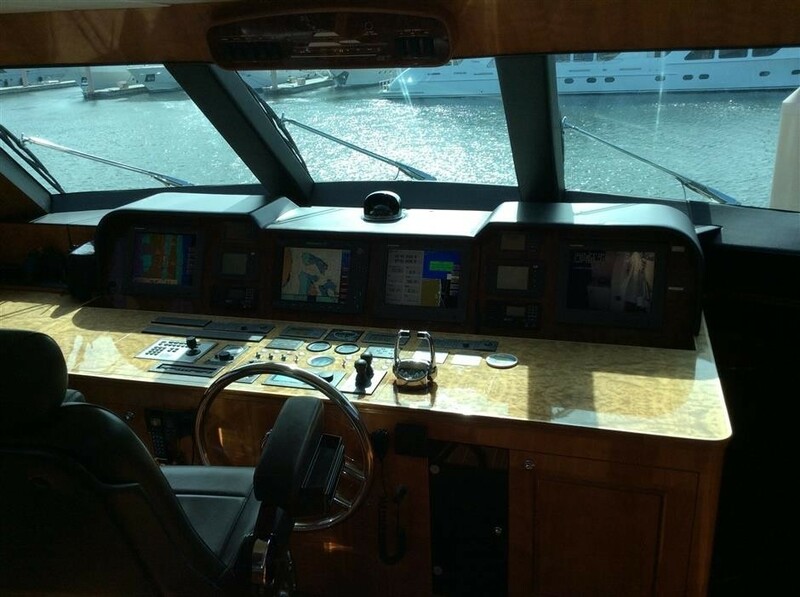 Luxury charter yacht PRIMETIME has a beam of 7 meters (22.96ft) and a draft of 2 meters (6.56ft), the yacht cruises at 15 knots with maximum speeds of 20 knots.